Compared to Rostra’s standard BackZone Plus and FrontZone parking assistance systems, the BackZone Truck includes a dashboard/visor mount display with a smaller overall footprint designed to more seamlessly blend into a vehicle’s interior. Ultrasonic parking assistance systems typically require the use of harness extensions when being installed onto light duty trucks. These extensions introduce multiple points of failure and signal interference. That all changes with BackZone Truck. Each BackZone Truck system includes a weather-proof 25’ harness designed to connect the four bumper-mounted ultrasonic sensors to the BackZone control module in a single run. The BackZone control module packaged with the BackZone Truck system includes an internal electronics redesign necessary to transmit interference-free signals from the bumper-mounted ultrasonic sensors along the 25-foot harness - an industry first. Every BackZone Truck system ships with full-color retail packaging. This box design acts as a “silent salesman” in your showroom detailing the myriad features of the BackZone Truck system. Likewise, the box was redesigned with warehouse distributors in mind providing ample blank panel space for multiple UPC label sizes allowing easy storage and quick retrieval from a warehouse. Glossy installation/owner’s manual with high-resolution images. Four flush-mount ultrasonic sensors with paintable bezel. 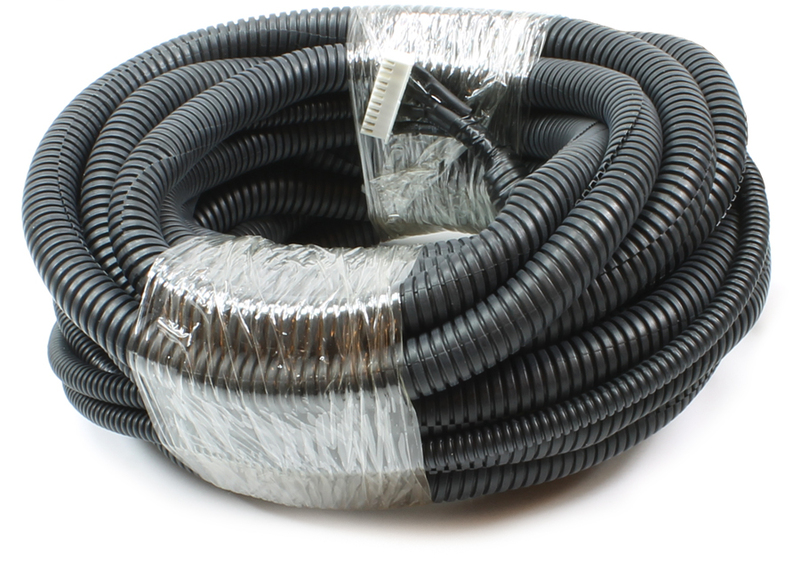 25-foot sensor to control module extension harness. BackZone Truck control module with advanced firmware. Standalone buzzer (for audio alerts only) **. * Options for Off, Visual Display Only, or Visual Display and Audio Output (90 dB). ** Options for High Audio Output (105 dB) and Low Audio Output (90 dB). The cost of a parking aid is often less than the insurance deductible incurred in an accident. 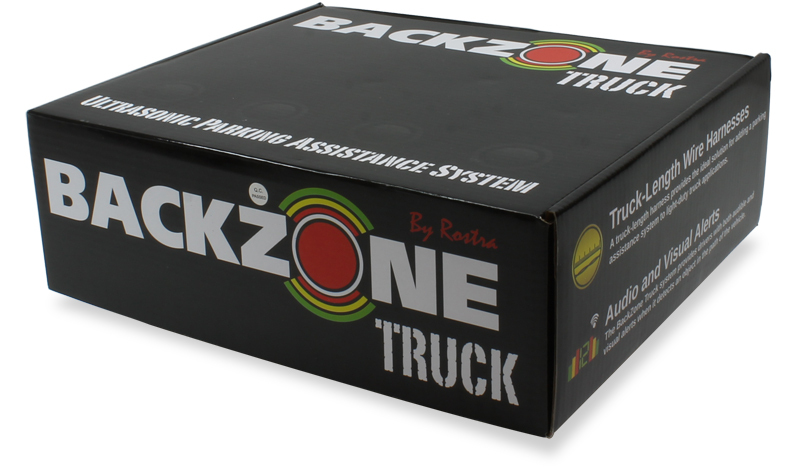 Protect your investment with Rostra's economical BackZone Truck!